You have added You're A Gem Embellished Maxi Dress in Baby Blue into shopping cart. FINAL SALE. We are loving the bold rhinestone embellishments that decorate the neckline , straps, and waistband of this pretty dress. 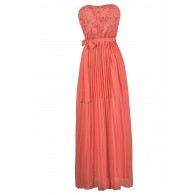 The You're A Gem Embellished Maxi Dress is fully lined and made of chiffon. The pleated chiffon bust is trimmed with a gorgeous arrangement of bold rhinestones and beading, adding the perfect touch of shine. The attached skirt has a full length maxi cut and is fully lined. Adjustable straps and a hidden side zipper complete this dramatic look. The You're A Gem Embellished Maxi Dress comes in two color options for you to choose from. It would be perfect for any upcoming formal dance or event paired with strappy heels, a clutch, and delicate jewelry. This is a dress that needs very little accessories to look stunning! Details: Fully lined. Hidden side zipper. Adjustable spaghetti straps. 100% polyester. Hand wash cold with like colors. Do not bleach. Low iron. Size Small measurements: Length from top of bust to hemline: 53". Bust: 32". You have added You're A Gem Embellished Maxi Dress in Baby Blue into Wishlist. 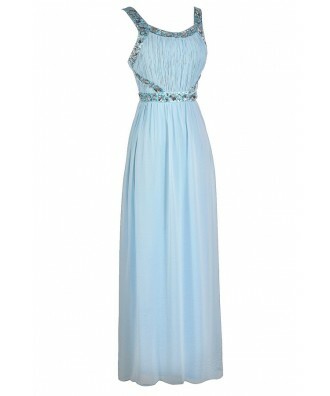 You have added You're A Gem Embellished Maxi Dress in Baby Blue for Stock Notification. 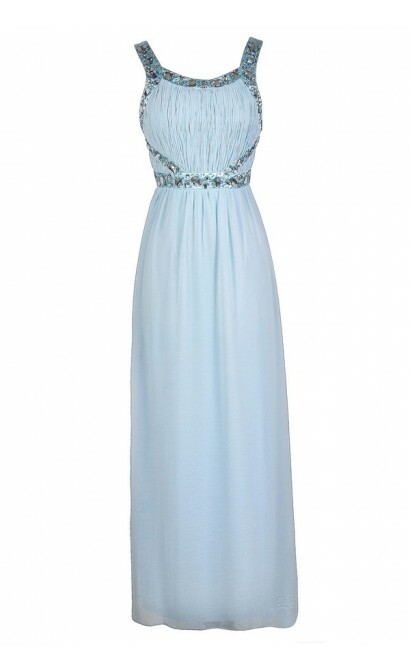 You have set You're A Gem Embellished Maxi Dress in Baby Blue as a loved product. 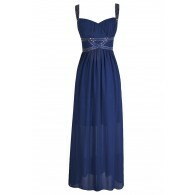 You have removed You're A Gem Embellished Maxi Dress in Baby Blue as a loved product.